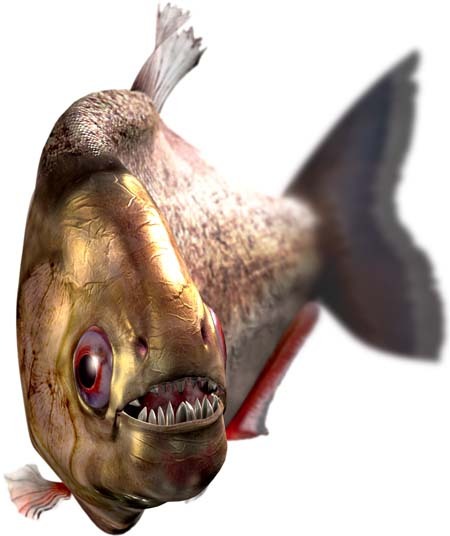 This piranha appeared in a commercial for Southwestern Bell. The story was that a woman was sold a piranha by mistake, when she thought she was getting an Angel Fish. The pet store tries to call and warn her before she puts it into the tank with the other fish, but her boyfriend is keeping their only phone line busy by surfing the web. The moral of the story: get a second phone line, or you'll be sorry. Buddy Cone directed the commercial at Palomar Pictures, where I animated the piranha and his prey.